246. S Ulukoa Place on the market! 246 S. Ulukoa Street, located on Maui, has recently been place on the market for $5,246,000. This spacious 4 bed, 4 bath, 5360 s.f. masterpiece with disappearing glass walls, affords one that quintessential seamless indoor / outdoor Maui lifestyle. Completed in 2006 & set upon a spacious .69 acre fairway-fronting lot, the custom gated entry opens to a pavered motor court, a 1028 s.f. 4-car garage, & a copper-roofed porte-cochere with its 'Bird of Paradise' security gate. Offered by Robbie Dein of Maui Real Estate Advisors. 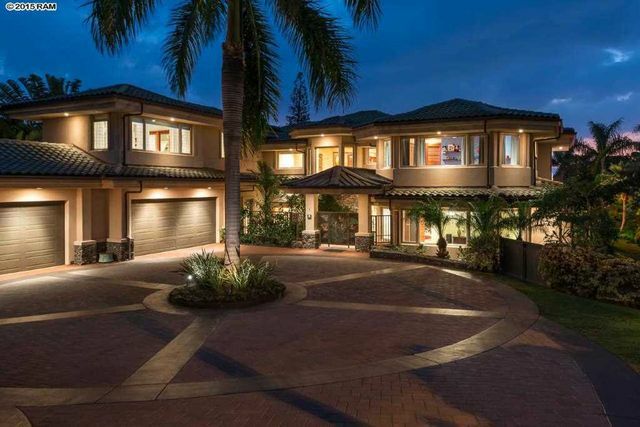 3 Kapalua Place Featured on HGTV's Amazing Water Homes! Amazing Water Homes takes viewers on a global whirlwind of H2O! Have you dreamed of living on the beach or having a pool put in your backyard? Well, that wasn't enough for these homeowners! In Amazing Water Homes, we go inside, around and through some of the coolest water features in America. See what happens when you combine creativity, ingenuity and a whole lotta H2O!"